We do not homeschool, but we do have a toddler home most of the week, and we love to give him fun and educational activities to keep him busy and give him a small introduction to classwork. We are still doing a lot of themed activities each month, that way we introduce him to the holidays each month. This fun St. Patrick’s Day activity is not only fun it also helps to teach and enhance math skills. This activity created by 123 Homeschool 4 Me helps to teach counting to younger learners. Counting is such an important skill and can be taught in so many fun and interactive ways. This holiday themed activity makes counting fun as well as relevant to what is happening now. Kids think they are playing a fun game but they are also learning how to do important math skills. Head on over to 123 Homeschool 4 Me and get the full tutorial. While you are there check out some other fun St. Patrick’s Day activities and many other non-themed learning activities. No matter which one you choose you and your little one will find yourselves learning while having a great time playing together. This entry was posted in General and tagged 123 homeschool 4 me, Activities, interactive learning, interactive play, learning activities, learning through play, math activities, St Patrick's day, st patricks day activities, the boys store on February 25, 2019 by Lacy. Crafts are the best part of being home with my youngest a few days a week. We get to have fun and play while learning and laughing. I love to do crafts with him, even the messy ones. Let’s face it, the messy ones are when we have the most fun, and oftentimes learn the most. We love to theme our crafts and this month we are leaning towards St. Patrick’s Day and rainbow crafts. My little man loves a good rainbow. This fun craft is an easy one to do and allows you to snack while you craft. Which is the best kind of craft! Jonesing to Create for the full tutorial and be sure to check out all of the other incredible arts and crafts ideas when you are there. You can find tons of ideas to keep you and your little ones busy for the entire month. 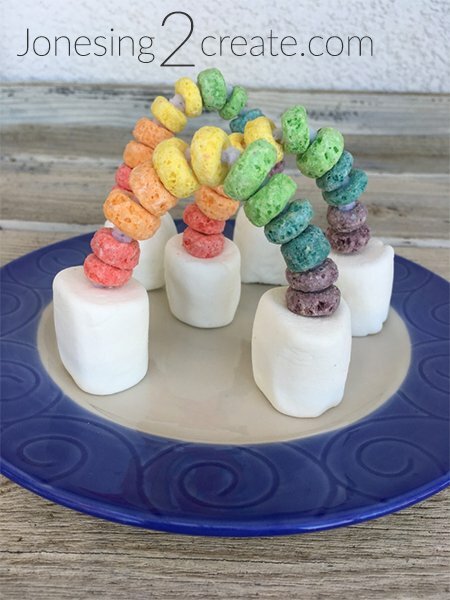 This entry was posted in Activities and tagged Activities, arts and crafts, crafts, jonesing to create, rainbow crafts, rainbow fun, St Patrick's day, st patricks day crafts, the boys store, Toddler activities, toddler crafts on February 22, 2019 by Lacy.